2770 BERNARD GEISSLER IN WIEN. 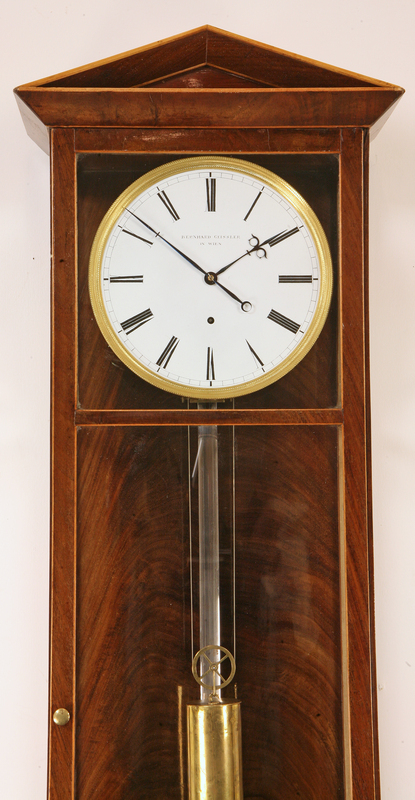 A FINE MAHOGANY CASED MONTH DURATION DACHLUHR. CIRCA 1840. A very attractive mahogany cased Dachluhr. The six light case with pedimented top with boxwood stringing has a full length opening front door with a typical under curved base and nice figuring throughout, especially to the backboard. The case is slightly longer than the majority of Dachluhrs, perhaps in order to give it enough drop for month duration. 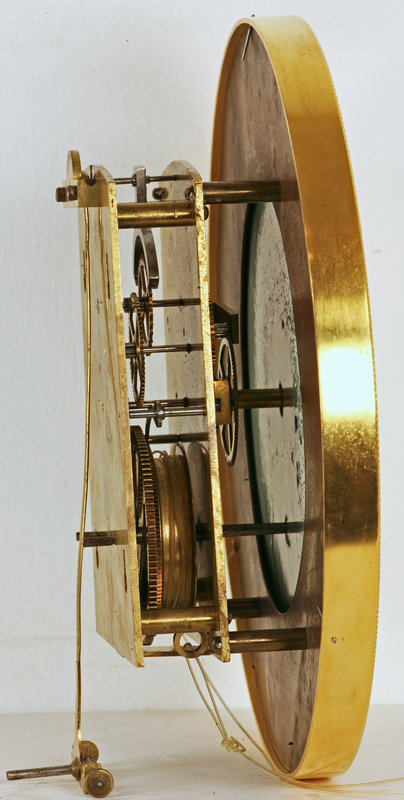 This extra length improves the proportions of the clock. 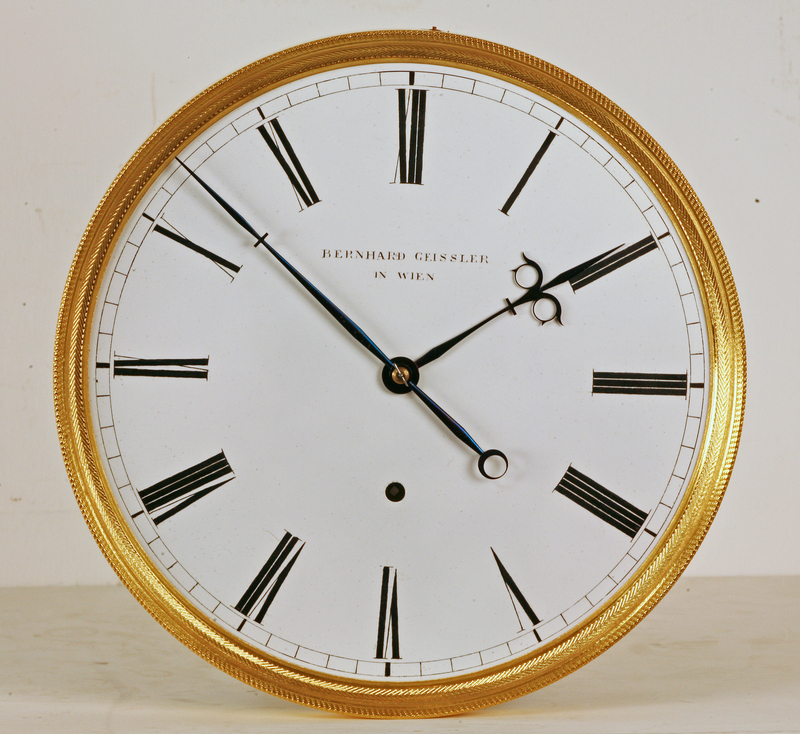 The white enamel dial is signed for the maker ‘Bernard Geissler in Wien’. It has Roman numerals with an outer minute ring, blued steel beetle and poker hands and is enclosed within a gilded engine turned bezel. The month duration weight driven movement has fine wheel work, deadbeat escapement and maintaining power. It has a steel rod pendulum with a brass bob. The maker Bernard Geissler Senior was born in 1789 and died in 1854. He was noted as working from 1818.